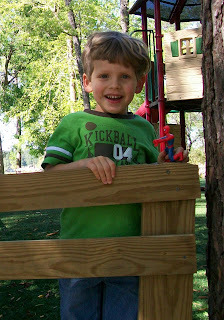 Dawson playing with a friend's Spiderman. 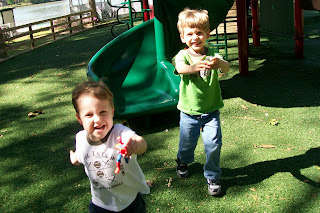 Seth and Dawson chasing me with their toys. 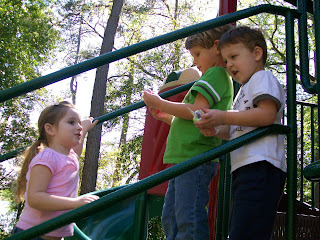 Kaelin came to the park a little later, walked up to Dawson and Seth, and said, "Hey, guys, can I join the game?" Here, they are all talking. 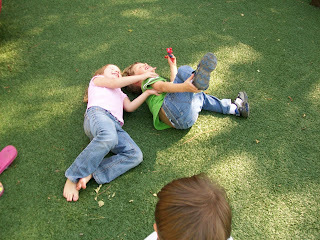 Kaelin and Dawson rolling around on the grass and being silly. 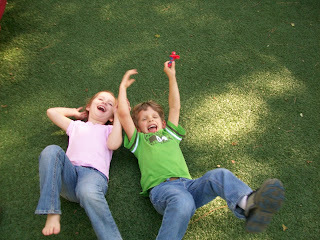 Very happy and very cute kids!